In high-school I played Chess on a clock… twice. But I also played Bughouse Chess. I was looking at Chess variants and I found a three man Chess variant I think I would like to play. 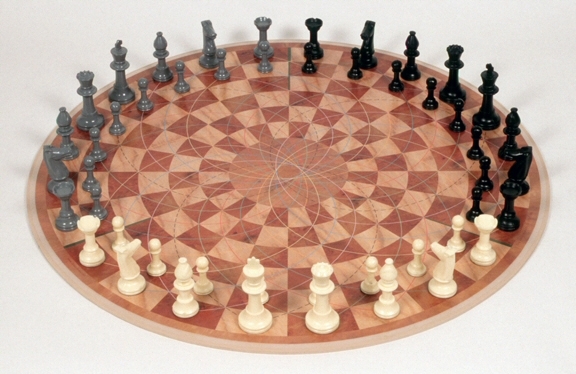 It is played on a round board… how cool could that be? I also found two other Three Man Chess variants, one from the 1700’s and then a rather interesting one on wikipedia. This entry was posted in Games and tagged chess, Games by Hugh Paterson III. Bookmark the permalink.